The November Carolina Catholic show features an interview with Msgr. Jeffrey Ingham, pastor of St. Anthony of Padua Catholic Church in Southern Pines. Msgr. Ingham was born in Cleveland, Ohio. He attended Borromeo Seminary College in Cleveland from 1965 to 1969. He received a BA in Scholastic Philosophy. He then attended St. Mary Seminary and Graduate School of Theology in Cleveland from 1969 to 1972. 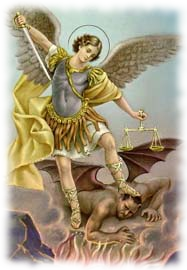 He finished his studies at Holy Trinity Seminary in Dallas, Texas in 1975. In 1975, he became Parochial Vicar at Sacred Heart Cathedral in Raleigh until 1977. He then was assigned to be Parochial Vicar at St. Patrick in Fayetteville until 1980. He became Pastor of Sacred Heart, Whiteville in 1980. From 1983 to 1988 he was Chancellor for the Diocese of Raleigh. He then was assigned the Pastor to Our Lady of Lourdes in Raleigh until 2000. Msgr. Ingham took a one year Sabbatical in Lynton, England being Chaplain to Poor Clares, a very small parish and mission. Msgr. 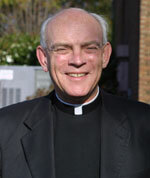 Ingham came to his current assignment as Pastor at St. Anthony of Padua, Southern Pines in 2001.